When will be Superhuman Samurai Syber-Squad next episode air date? Is Superhuman Samurai Syber-Squad renewed or cancelled? Where to countdown Superhuman Samurai Syber-Squad air dates? 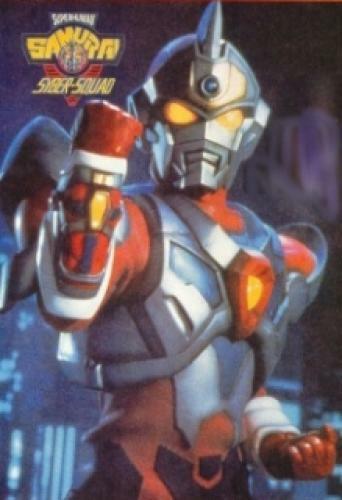 Is Superhuman Samurai Syber-Squad worth watching? Matthew Lawrence stars as Sam Collins, leader of a teenage garage band who discovers that an alien warlord has infected the digital world with monster 'megaviruses.' Sam and his high school friends create the SUPERHUMAN SAMURAI SYBER-SQUAD to 'Samurize' and actually enter cyberspace and rid the earth of the evil menace. EpisoDate.com is your TV show guide to Countdown Superhuman Samurai Syber-Squad Episode Air Dates and to stay in touch with Superhuman Samurai Syber-Squad next episode Air Date and your others favorite TV Shows. Add the shows you like to a "Watchlist" and let the site take it from there.